« Valentine’s Sewing Projects: Something Special for Your Sweetheart? 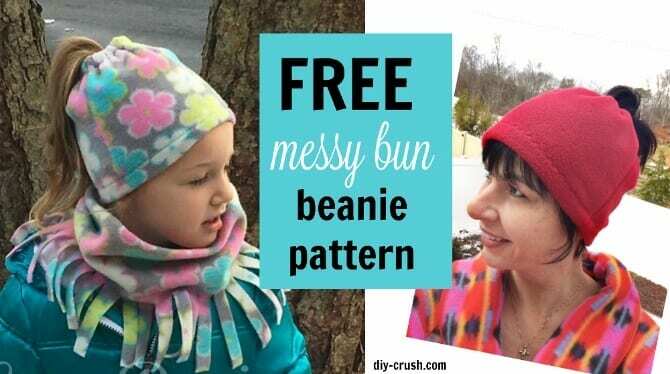 Sew a cute beanie which accommodates your messy bun! This incredibly fast hat is made from fleece, but you can also use knit fabric. It comes together in about 15 minutes (or less). Perfect for keeping heads warm while maintaining your bun (or ponytail) intact. Watch the video tutorial and sew some of these fun beanies today!